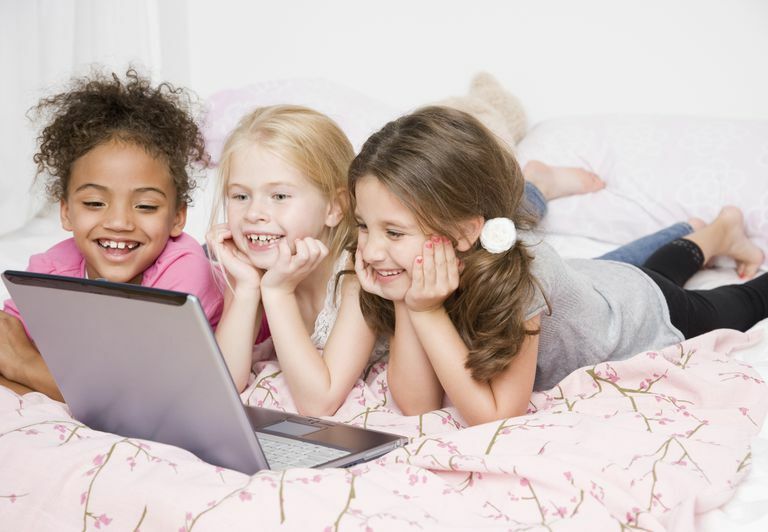 There's no need to pay for the movies the kids want to see because there are hundreds of free kids movies online. These free movies for kids can all be found at websites where it's legal to watch their movies. They all have separate areas where children can go and catch up on the latest movies as well as some of their favorite free TV shows. Also be sure to check out how to get free movies for your kids through Redbox. There are also a lot of other free movie websites that have movies that everyone will enjoy. The staff picks section is a great resource for finding out about new films. Horror movies are sectioned off on a separate website so kids won't see them. You can download movies to watch later. Visit the Family section at Popcornflix to browse family-friendly movies perfect for the kids in your life. Big movie posters make it easy for kids to pick out what they want to watch. Some of the more popular free kids' movies we've been able to find here include "Alice in Wonderland", "Sleeping Beauty", "Cinderella", "The Little Mermaid", "Aladdin", "White Fang", "Benji", "Popeye", and "Jack and the Beanstalk". There are also free cartoons here that the kids might like, including "Popular Mechanics", "Sky Dancers", "Pet Alien", "My Strange Pet", "Stoked", "Puppy in My Pocket", "Life With Derek", and "Secret Millionaires". The player at Popcornflix is easy enough for the kids to manage all on their own. There are ads every 20 minutes on all the movies and TV shows here. Popcornflix Kids is a website much like Popcornflix but includes only kids movies from their selection, which you might prefer so that the kids can't accidentally find an adult movie. Has a larger collection than most other sites since it pulls from other streaming services. You don't have to sign up to watch movies that are hosted on Yidio. A lot of movies listed are not free to watch. Video quality is decent yet inconsistent. Yidio searches all the free movie websites and puts lists together so that all the movies in one place, including free movies for kids. To view these, browse to the Kids and Family movie section. Inside this movie section, you can sort by popularity and recently added selections, and filter the kids movies by rating such as PG, PG-13, and NC-17. Some great free kids movies we've spotted here include "Escape From Planet Earth", "Hoodwinked Too! ", "Spirit of the Forest", "Cop Dog", "The Snowman", "Mia and the Migoo", "Finding Rin Tin Tin", "Lion of Oz", and "Soccer Mom". A section called "Not on Netflix" has movies you can't find in other places. You can adjust the video quality to suit your internet connection. Streaming service not available in every country. You'll see a lot of the same ads over and over again. Tubi has a section for family movies and kids' shows. Although you can't organize the films by rating or popularity, a single, full page of free kids' movies makes it easy to browse. "The Happy Elf", "All Dogs Go to Heaven", "Igor", "The Secret of Nimh", "Little Bear Movie", "The Amazing Feats of Young Hercules", "Eloise: Eloise Goes to School", and "Cirque Du Soleil: Worlds Away" are just some of the movies we've seen available at Tubi. Tubi has free TV shows for kids, too, including "Family Game Night", "Transformers", "Sabrina", "Babar", "Rescue Heroes", and "G.I. Joe". Matches video quality to your internet speed automatically. Some movies are available in HD. Buffering issues can occur when watching higher quality videos. SnagFilms is mainly a website for free documentaries, but it also has dozens of free kids' movies in the Kids & Family section. There are a few recent movies here but primarily lots of classic family movies for everyone to enjoy. Some kids and family movies they have at SnagFilms include "Dragon Hunters", "Pocahontas: The Legend", "Babysitters Beware", "The Little Wizard: Guardian of the Magic Crystals", "The Nutcracker", and "The Toy Shop". Includes links to movies hosted on other websites like Youtube. Video quality for older movies tends to be poor. More targeted at adults who want to relive childhood. Classic Cinema Online has more than a dozen family movies that are a great way to introduce kids to classic movies. These movies are mostly from the 1930s and 1940s and include classics like "Pinocchio", "Million Dollar Kid", Lassie: The Painted Hills", and "Where the Red Fern Grows". Convenient TV-like channel guide interface. You can rewind shows already in progress to the beginning. No option for watching shows on demand. Kids can watch free movies all day long with Pluto TV. It's 100% free and works on a computer, smart TV, and mobile device. Pluto TV streams kids-related movies live on Channel 520. If you use the Pluto TV mobile app, you can also watch on-demand kids movies any time you want without waiting for something you like to show up on that channel. Pluto TV has been known to play kids movies like "Alpha And Omega" movies, "Jungle Girl and the Lost Island of Dinosaurs," "Sea Level," "Agent Cody Banks," "The Invincible Iron Man," "Planet Hulk," "Almighty Thor," and "Igor." You can find the kids movies on the Pluto TV app through the FUN FOR THE FAMILY section in the Free Movies + TV section. Kids can also find 80s and 90s cartoons on Channel 526, and other classic cartoons on Channel 531. See the Pluto TV Guide for more information on other kid-friendly channels. Works great on mobile devices. Interface makes it easy browse and sort shows and movies. Video playback is often less than DVD quality. Video player is very bare bones. There's a very small collection of free kids movies online at Viewster, but depending on when you check, there could be a good handful. These are some free kids movies we've seen available at Viewster: "Race", "Jack Frost", "Proll Out," and "Night on the Galactic Railroad." Kids can watch TV shows at Viewster as well, like "Daffy Duck", "Superman", and a whole collection of shows called "Best of Classic Cartoons". Hosts obscure shows and movies that are hard to find elsewhere. Users can share movies from their own private collection. Movies are frequently removed for copyright reasons. Longer movies are often divided into parts, some of which could be missing. YouTube may not be the first place you think of when you want to watch a movie online, but they actually have a huge collection of free movies including free kids movies and family movies. The trick to finding free movies on YouTube — given that the free areas of YouTube are meant for shorter videos — is to find a channel, playlist, or service that can locate the kid-friendly movies for you. For example, this Kids Full Movies playlist includes links to dozens of free kid movies. YouTube has a dedicated link to free movies, too. Another place to find free kids movies on YouTube is on the r/fullmoviesonyoutube sub on Reddit. The free kids' ​movies you'll find at YouTube include titles like "Agent Cody Banks," "Igor", "The Velveteen Rabbit," "Jack and the Beanstalk," "The Princess and Goblin," "Tarzan," "Good Boy!," and "All Dogs Go to Heaven." You'll also find some classic cartoons you can watch for free here, including "Superman," "Popeye," and "Christmas Classics."